Or is that ON YOUR FEET? 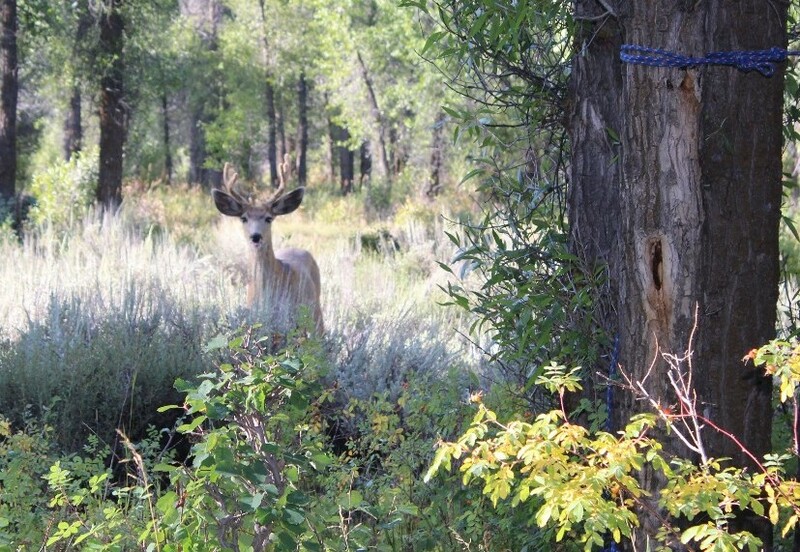 Wildlife in and around Grand Teton National Park in Wyoming aren’t bashful. In fact, they seem to know they own the place. Boisterous chipmunks like to rub it in your face, or rub their face into you, as the case may be. 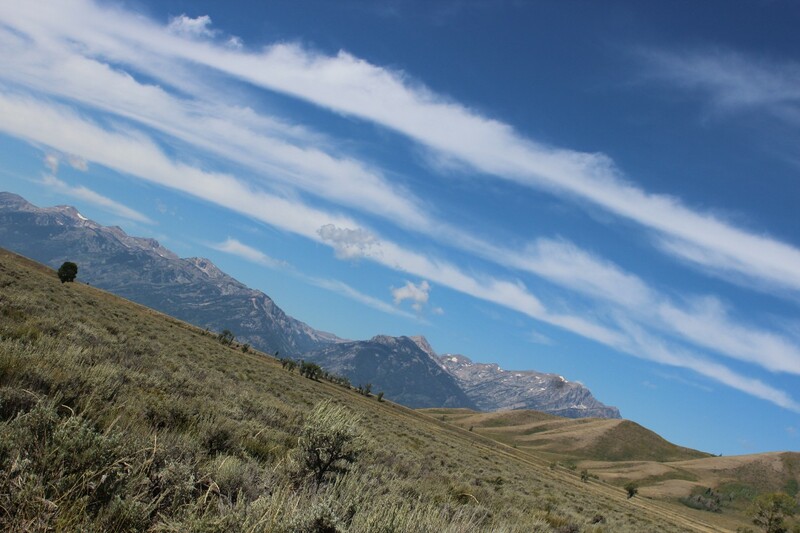 In the Tetons, humans can’t vie for secondary nor even tertiary position in the food chain. Moose ignore you while munching on a veggie breakfast . . . Even mamma and her baby don’t seem too concerned. Hell, bison routinely overtake the roadways as if the asphalt were designed for hooves instead of cars. An adult bison weighs about a ton. Needless to say, few autos challenge their collective decision. This mule deer stepped right up to our campsite at Gros Ventre Campground (the same campground–just south of Grand Teton–where we had all of our moose sightings) and asked for a cup of salt. We redirected him and his eight-point rack that-a-way while we attempted to discreetly shove our 80-pound dog this-a-way into our car to avoid a confrontation. 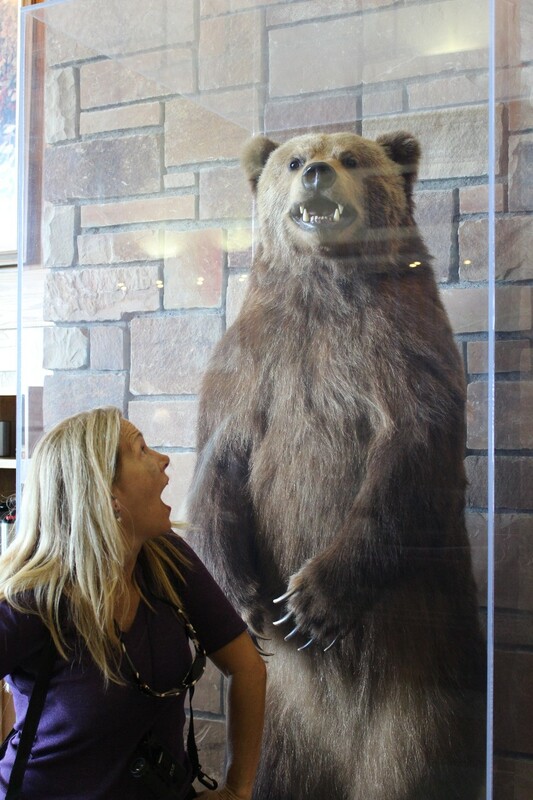 As if this all weren’t enough, I had a run-in with this grizzly. As you can see, I was more frightened of him than he of me . 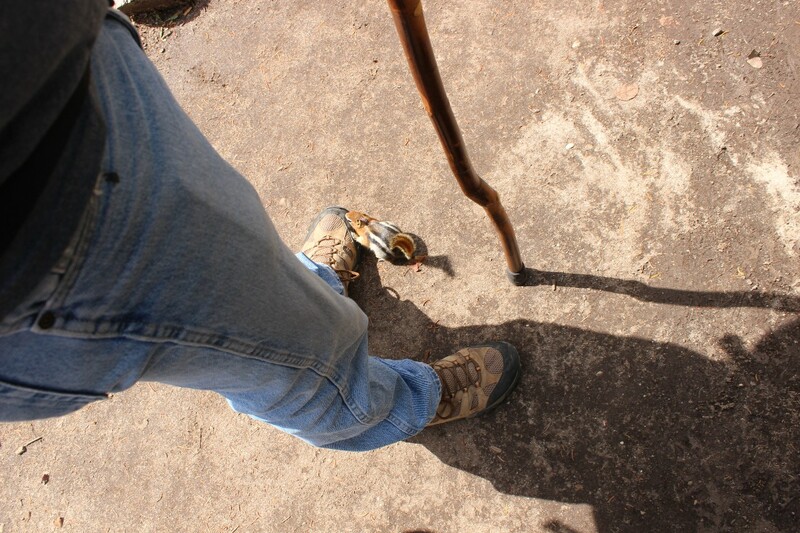 . .
From the safety of a fort we found at the edge of Colter Bay, Mark tried to track the bear after it ran away . . . I found an anti-social elk who seemed kinda stiff . . .
and imagined how many fell to create an archway as grand as this . 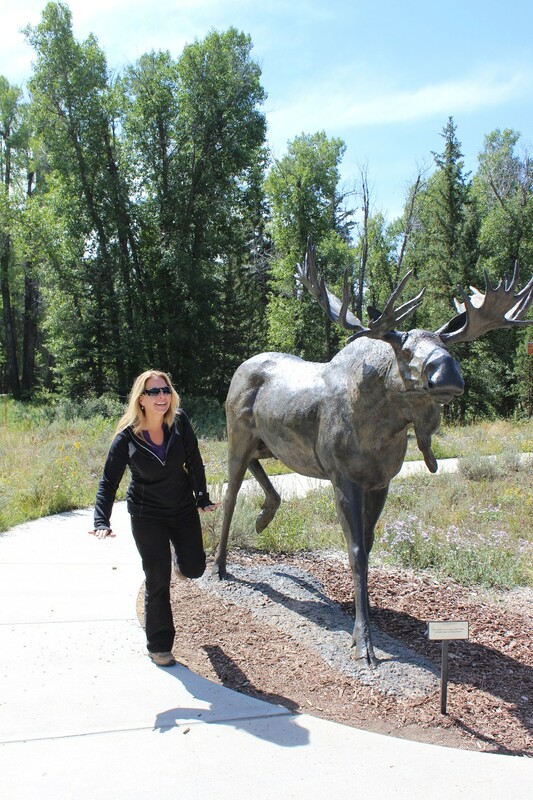 . .
We had some close-up moments with the wildlife at Grand Teton. It was amazing but is always dangerous. So, make sure you give wildlife respect by giving them space (Yellowstone Bison vs. Humans: You Can’t Fix Stupid), especially when they seem to want to get in YOUR face. No matter where we drove in Grand Teton, her white-capped, rugged peaks stole the show and crowded the camera lens. Just like the wildlife, the mountains themselves reminded us that we share this planet with more powerful and beautiful things. 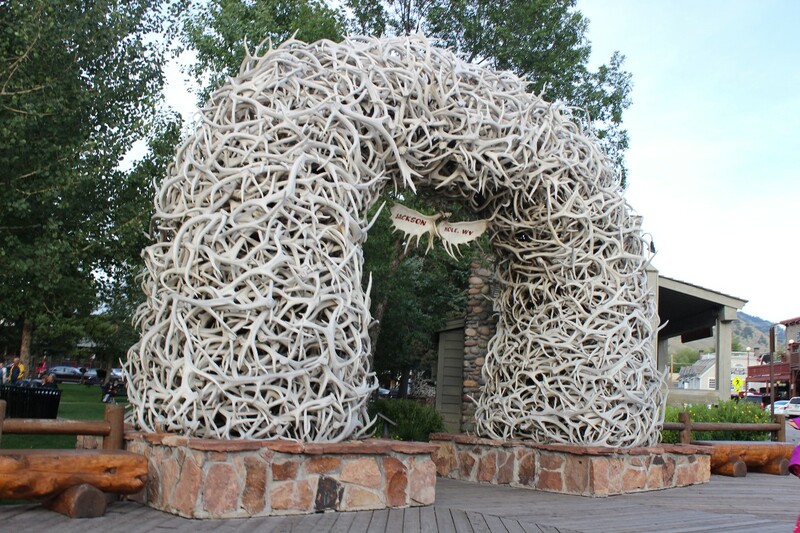 As with Yellowstone (3-Week Teardrop Trailer Trip: Wild, Wicked Yellowstone National Park), we only spent what added up to a day-and-a-half at Grand Teton. 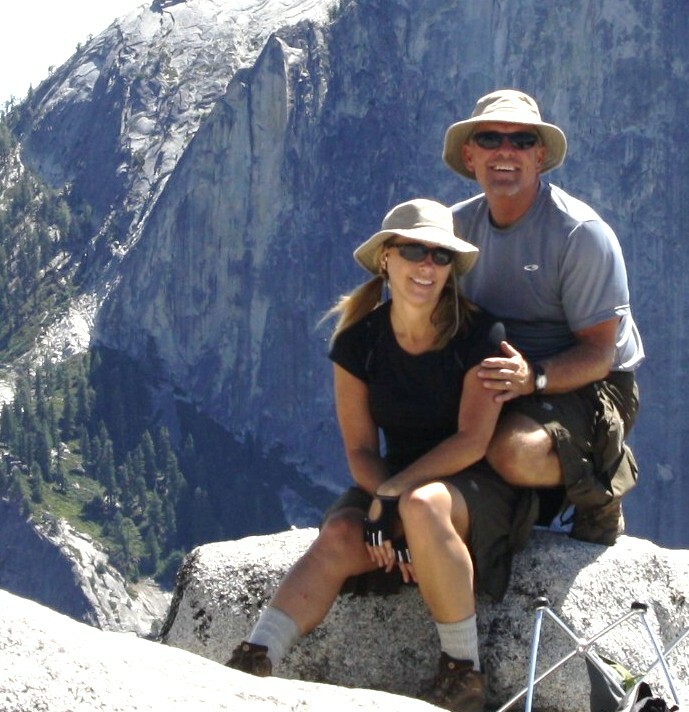 A few days is not enough to explore any national park, and Grand Teton is no different. It’s a hiker’s, climber’s, explorer’s paradise . . .
And oh so easy on the eyes. Just to prove a point, Mark said there’s no such thing as a bad picture in the Tetons and proved it by willy nilly snapping a picture out the car window without looking. And he was right . . .
We know we’ll be back some day. But a three-week road trip, in the end amounting to 4,400 miles, requires a tight schedule. Utah and five of its best national parks is the next stop. Onward and outward! If you have any questions about where we’ve been, any aspects of the experience we didn’t share here, please use our ‘Contact’ page to send us an email with your question(s). We’ll do our best to provide you the answer if we know it or will at least fabricate something entirely convincing. 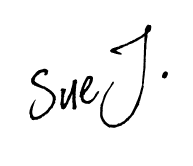 (email option, WordPress user option, TWITTER option). Or any of our stops so far on the way . . . Early Day 6, 3-Week Teardrop Trailer Trip: Port Townsend, WA, See It All and Sea Otters Too! Day 7, 3-Week Teardrop Trailer Trip: Goodbye Olympic Peninsula; Hello Seattle! Day 8, 3-Week Teardrop Trailer Trip: Hay, Washington! Spuds! Spokane! Midway on 3-Week Teardrop Trailer Trip: Just Stop; You’re Missing It! Great writing, great pics, great times! 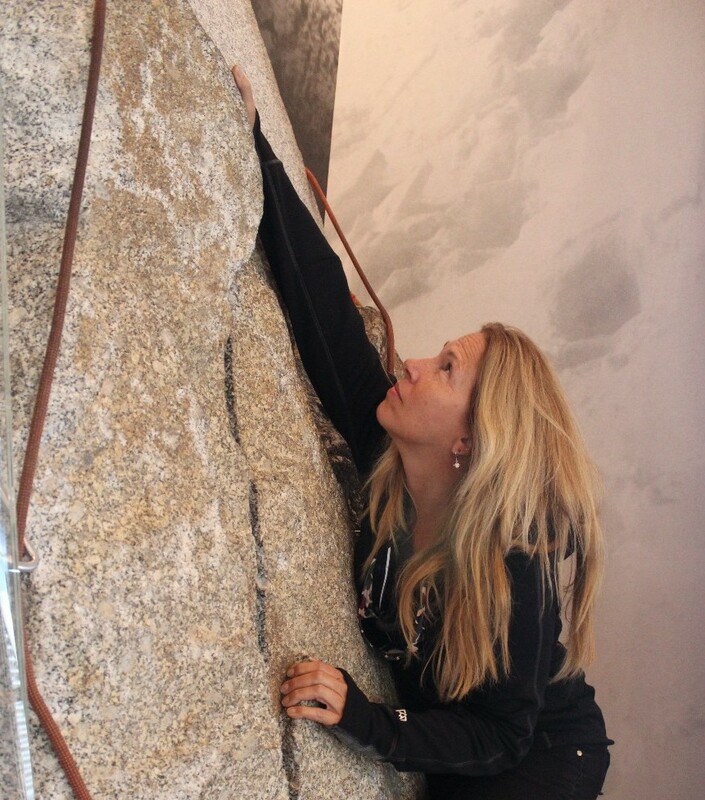 Love all the critter shots but my favorite was Susan rock climbing. If you did queue me in to the visitor center location, I would be convinced you’re the next Wonder Woman! Aww, what they hell, you are anyway! Lol. Yes, in my dreams! 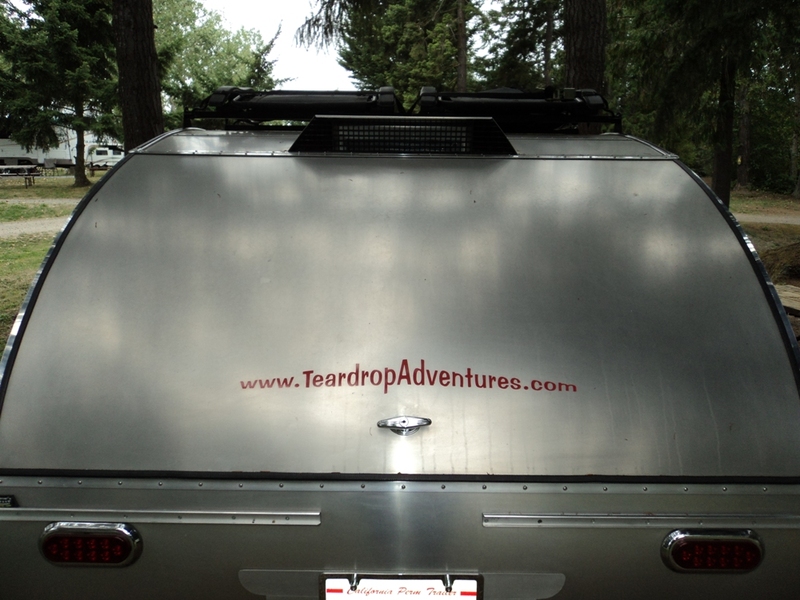 Enter your email address to follow Teardrop Adventures and receive notifications of new posts by email.